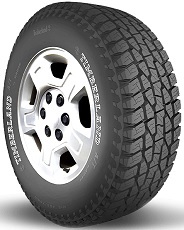 All-Terrain tire Designed to Provide Pick-Up, Jeep and SUV Owners with Off-Road Capabilities and a Rugged Look, without Sacrificing On-Road Performance. Fits: Chevy Silverado, Chevy Suburban, Ford Explorer, Ford F-Series, Jeep Wrangler, Ram 1500, Toyota Tundra. 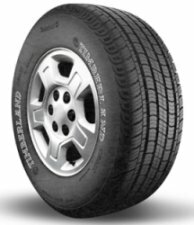 Passenger tire Designed with Versatility of Usage in mind. Offers Comfort and a Confidence-Inspiring Grip for small SUVs and Crossover Vehicles. Fits: Acura MDX, Chevy Equinox, Ford Escape, GM Envoy, Honda CR-V, Nissan Rogue and Toyota RAV4.